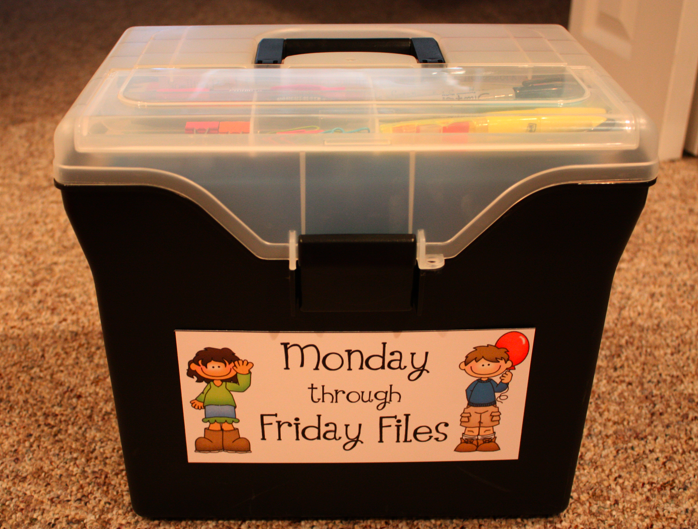 Mrs. Patton over at Patton’s Patch is having the coolest, week-long linky party–all about organization!! Today’s topic is organization of daily materials. This is something I have struggled with in the past and I have recently started a new system that works well for me. Since I teach 4th/5th, the materials part isn’t too hard to manage…we have our materials fairly organized around the room and the students know where to access them and take charge in distributing and collecting them. It’s the papers. Yikes. 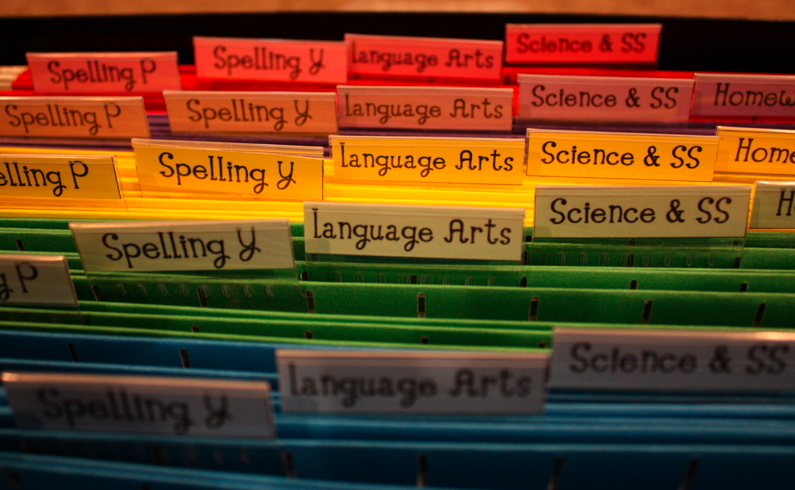 With multi-age ELL students with a huge variety of skills (I have students not yet reading all the way to students reading on grade level, in 5th grade) the papers can be the hardest to manage. I ended up turning to files, as I could have many different papers stored in a filebox, without taking up too much space. And more important stuff. 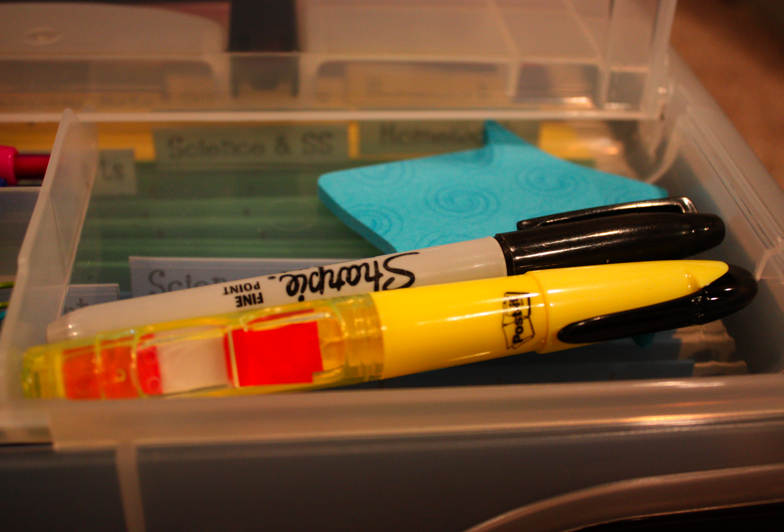 It actually comes in really handy if you travel with the whole filebox to the copier and find yourself needing to organize or make a note while waiting. That’s in another whole filebox I posted about awhile back in Organizing Differentiated Math Work. One more closeup of the files. That glow isn’t from the folders either, the tabs themselves are shaded to match the file folder…it just makes it easier for me to find things. I am attaching the “Monday through Friday Files” sign below. If you haven’t already, you must stop by Patton’s Patch and check out the awesome organizational linky party! Thanks, Mrs. Patton!! Wow! I love that it is all together and easy to take to the copy room. Thanks so much for sharing! 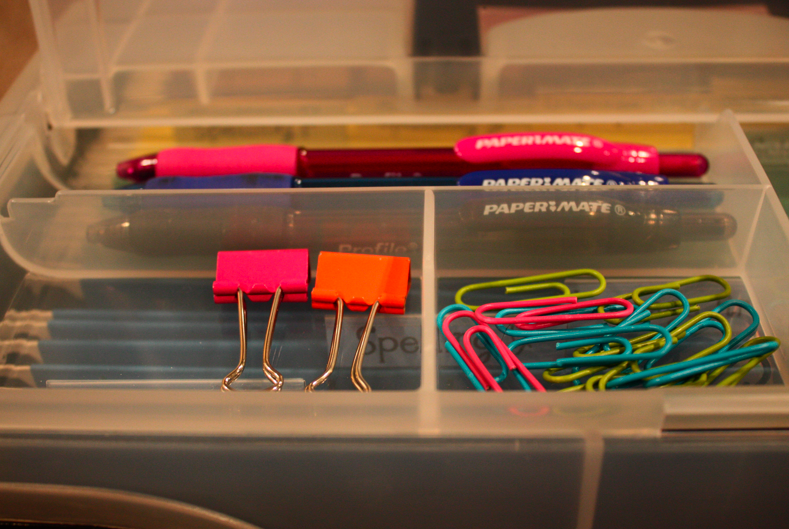 I love to organized with color! Love your files! I love the idea of the color files. Mine are all the same color and I still sometimes pull the wrong one. I like the bigger tabs too. I think I will have to update mine! Thanks for the inspiration! 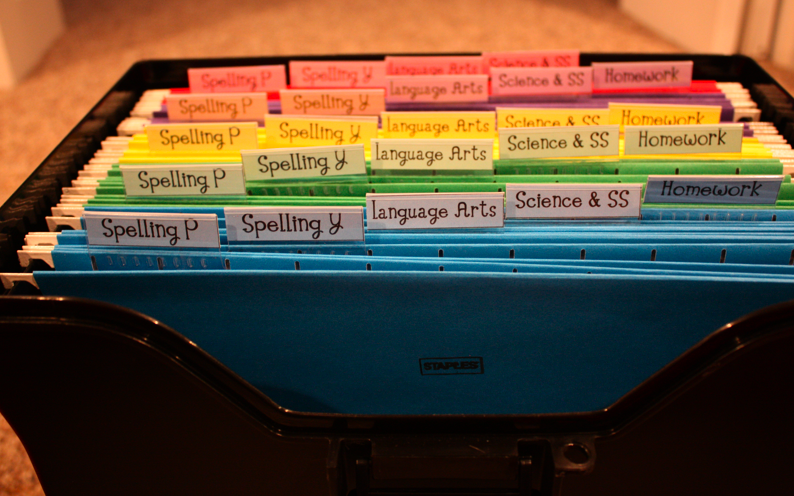 I wish I could be this organized!!! Thank you so much for this! I created mine 2 weeks ago and I love it!!! Wow!!! 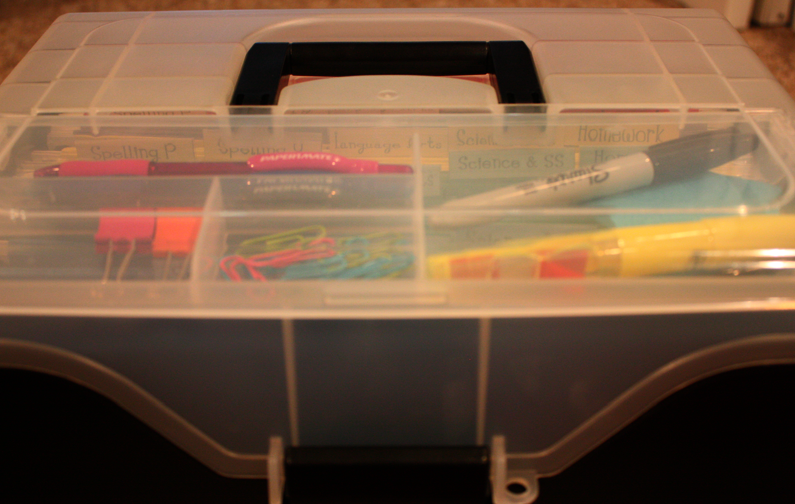 I need organization MORE than any other teacher you know…because I am an ADHD teacher!!! I try really hard all the time to keep myself organized, but a lot of times it doesn't work!!! This looks like something that could really help me out each week.